Another man is at large. 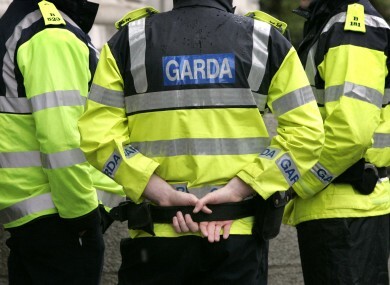 GARDAÍ HAVE ARRESTED a man in his 40s after the robbery of a shop in Neilstown, Clondalkin. The robbery occurred shortly before 7am this morning when two men, one in possession of a firearm, approached a male member of staff at the entrance of the shop. They assaulted him and fled the scene on foot with a quantity of cigarettes and alcohol. Gardaí arrested one man in mid 40s close to the scene. He is currently detained at Ronanstown Garda Station under Section 4 of the Criminal Justice Act, 1984. The second man remains at large. Gardaí located a firearm, a baton, cigarettes and alcohol in a follow-up search. The injured man was taken to Tallaght hospital with minor injuries. The scene was preserved and technically examined. Gardaí are appealing for witnesses and anyone with information is asked to contact them at Ronanstown Garda station on 01 6667700 The Confidential Line, 1800 666111 or any Garda Station. Email “Man in his 40s arrested after shop worker threatened with gun and assaulted ”. Feedback on “Man in his 40s arrested after shop worker threatened with gun and assaulted ”.